C launcher is one of the popular and Elegant android launcher. C Launcher Application is a lightweight android launcher it doesn’t contain enough miscellaneous ads as compared to any other android launcher. Everyone is considering To have a pretty and new look in the device. Every feature of C launcher Application is Explained below including why you should have to Download C Launcher Apk and why not. C Launcher is competing with the popular Android launcher In the global i.e. Nova Launcher. C launcher application is the best alternative of Nova Launcher. Now let us Download c Launcher and Know about all the features of C Launcher. Before Downloading C Launcher it is good to know all about the Advantages and Disadvantages of C launcher. You can Download and install C Launcher in two ways you can use One click installation from Playstore or You can download the C Launcher apk as a Third party Application. C launcher is the third party launcher which is completely different as compared to your device stack android launcher or any other custom UI Launcher(i.e. MIUI, EMUI, COLOR Os, OXYGEN Os etc). 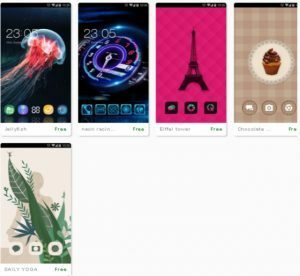 C launcher provides some Extra new features which make your Android device more Elegant and stylish. Now let’s Know about all the advantages and disadvantages of Downloading C launcher. C launcher has an average ram consumption as every normal android launcher. C Launcher provides New UI. C launcher is Free To Download and Install. It contains a banner AD when you will swipe left to your home screen as shown below. Some other Ads you may get sometimes. You will Also get some Extra application after installing C Launcher. Download the C launcher from the above download Link. Now open the C Launcher apk Package and click on the install Option. Now open the C launcher application After installation. Select any wallpaper to continue. Grant the Storage permissions to c Launcher (Search C Launcher Application in the list). Set C Launcher as Default Home screen when it asks. Finally, its all Done Enjoy the C Launcher. C launcher has few of the wallpapers as but if you want more then you have to download c launcher wallpaper application.